My latest Vinyl Anachronist column, #105, is now online at Perfect Sound Forever. 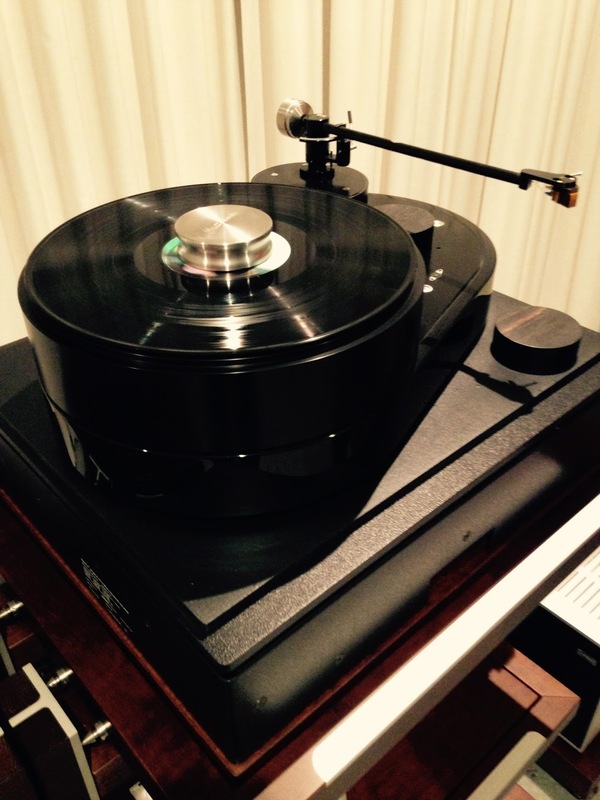 In this article, I discuss the two things that keep audiophiles from purchasing a really rewarding hi-fi system. You can read it here. Enjoy! 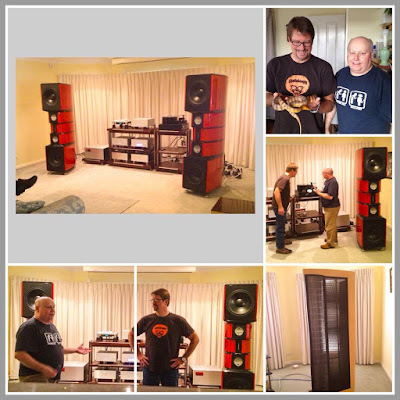 Just a couple of days after I blogged about Jeff Knox Audio just outside of Sydney, Australia, Brad Serhan sent me a truckload of new photos from my visit. 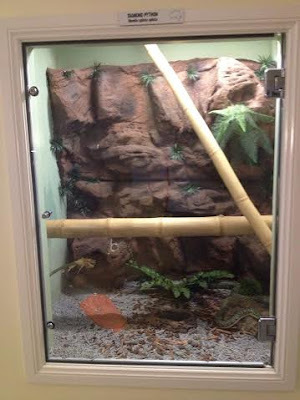 So here are some better photographs of Jeff's Million Dollar System, his snakes and more! I think for the most part, psychedelic garage rock is much harder to perform than it looks. It's one matter to play loose, sloppy and with a presumably and capriciously open mind, but it's quite another to do it without falling prey to excess. Revolt Revolt, a quartet from Boise (is this the first Idaho band I've reviewed? ), has most of the important elements preserved--heavy reverb on the vocals, lots and lots of jamming and dense production values that favor noise and feedback--but the band takes it a step further by introducing more contemporary touches from drone and industrial playbooks that offer a cleaner, more focused approach. On this new five-song EP, Revolt Revolt pays homage to everyone from early Pink Floyd to some of the more imaginative grunge bands of the '90s. What makes the band stand out, among other things, is singer Christopher Bock's rumbling, coarse baritone. It takes up residence somewhere between Michael Gira of Swans and Andrew Eldritch of Sisters of Mercy, deeper than expected and sort of weary, but with slightly contained sense of menace. 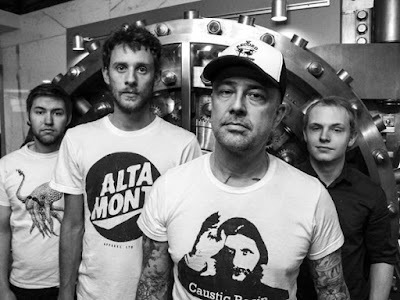 The rest of the band is solid, confident and able to free-associate, which comes from all of their experience in other bands--guitarist Mike Muir also plays for Nightlife and Trees, bassist Jake Frederickson also plays with Obscured by the Sun and Bliiss and drummer Ben Wieland play with Jumping Sharks. Bock's been all over the place--Treepeople, Geyser, The Magnetics and even as a solo artist. The opening track, "Catch the Light," starts off with a two-chord approach that may borrow liberally from Lou Reed's "Walk on the Wild Side," but as the song progresses it spreads out and gets fuzzy around the edges--enough to suggest Lou's time with the Velvet Underground instead. The other four songs have that distinct edge, but the last two songs, "Every Day Youth" and "Never Fade" emerge as sort of a suite, starting off with a spoken word piece that might remind you of the more political songs of the Flobots--or one of those eerie set pieces that manages to sneak onto every Tool album. The final song develops into a rather standard jam session until the fade out, and a long silence, and then the hidden track finale which offers everything from an operatic soprano to a lingering litany of sound effects. It almost doesn't want to end. As with all EPs, Wild Unraveling feels like a calling card, a list of prerequisites to attempt something hopefully not too far in the future that will allow a little more time and depth to flesh out these interesting ideas. In a work this short, however, there's a completeness about it all that might be lost on a 70-minute CD. For its brevity, Wild Unraveling is worthwhile and fun in a dusty, old dirt road sort of way. 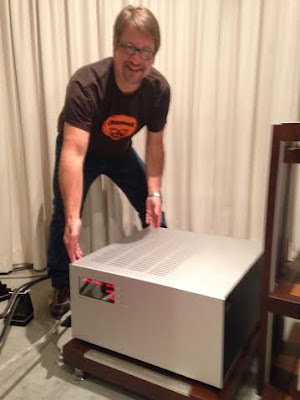 An old audio acquaintance of mine, these days an avowed audio enemy (ah, the Internets! ), used to accuse me of being in love with the price tags of high-end audio equipment. That opinion was drawn after he once visited my house in Los Angeles and listened to my audio system. As I showed him each piece of gear, I gave him a quick run down of the specs, features and ultimately the price. By the end of the visit, he pointed out to me that I couldn't stop mentioning how much everything cost--he seemed to be insinuating that I was boasting about the high price of my spread. There was only one problem with this observation. The system I demonstrated to him wasn't my system, but a system comprised mostly of gear I was reviewing at the time. (This was back in my TONEAudio days.) The only reason I kept mentioning the price of everything was because I wanted him to have a reference of how much each component cost so he would have a better idea of the performance-price ratio--something I had to consider as a reviewer. In addition, my experience in the audio industry and running countless trade shows has taught me that the first question in everyone's minds is "How much?" Besides, how could I boast about the cost of a system I didn't own? He and his bad manners weren't invited back. This all illustrates how some audiophiles lose their minds when it comes to ultra high-end audio. 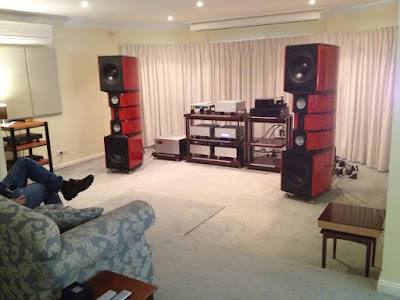 Browse through some of the audio discussion forums online and you'll find a lot of hate and indignation toward $500,000 speakers, $200,000 turntables, $100,000 amplifiers, $35,000 DACs and $15,000 cartridges. Some people seem to take these prices personally--how dare we market such outlandish gear! A lot of this vitriol is based on envy--some of us in the industry have to tell these exasperated souls that this kind of gear is simply not for them, and no one is twisting their arm to buy it. 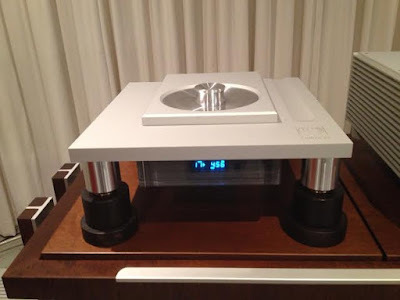 The main system at Knox Audio is comprised of an AMG Viella 12 turntable with arm, MySonic Lab Signature Gold MC cartridge, Ypsilon MC-L step-up transformer, Ypsilon VPS-100 phono preamplifier, Ypsilon CDT-100 CD transport, Ypsilon DAC-100 (Special Silver Transformer Edition), Ypsilon PST-100 mk. II preamplifier (Special Silver Transformer Edition), Soulution 701 monoblock power amplifiers and Evolution Acoustics MM3 loudspeakers, all wired with EnKlein "David" and danA 4G cabling and supported with Stillpoints and Finite Elemente Pogode equipment racks. Whew! Before I mention the sound, I want to say that Jeff was a extraordinarily gracious host to Brad Serhan, David Allen and me. He spent the better part of the day playing the rarest LPs, great-sounding hi-rez digital--the normal selection of reference recordings designed to make a profound impression. It did. 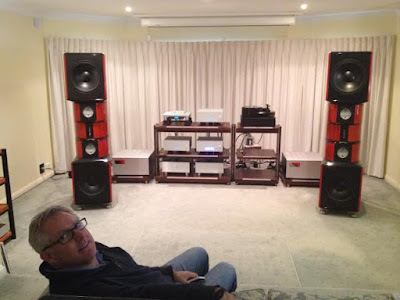 Jeff was so happy to take time out of his busy day just to listen to music with the three of us, which counters the impression many US audiophiles have about dealers who specialize in equipment that pushes the envelope. They expect a snobby salesman who might need to perform a credit check before an appointment is made, someone who is in love with price tags. That's not Jeff. 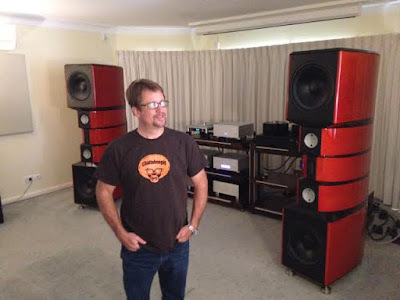 Jeff even told us that he regularly invites members of the local Sydney audiophile society to Knox Audio for a demonstration, and he's surprised when he gets turned down. Perhaps it's because these audiophiles think Jeff will hard sell them after the audition. What's more likely is that they're afraid to hear his system and then have to go home to their system, which will never satisfy them again. That, of course, is one of the main symptoms of audiophilia nervosa. That's nuts, of course. Jeff seems like the kind of person who has a genuine love for high-end audio, and he wants to share those aforementioned possibilities with as many people as he can. It's a hobby, a wonderful one that involves enjoying music, something to get enthusiastic about. When I walked out of Knox Audio that day, I didn't think it was a bummer that I had to go back to more ordinary playback systems. 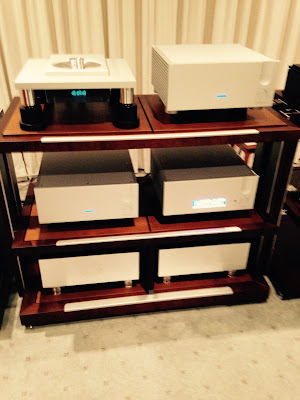 I was energized about high-end audio. I felt honored that I was able to spend so much time listening to that system. I wanted to dedicate myself anew to the industry. You might ask yourself, "What does a system like this do that others don't?" Well, first of all I'd have to say that it projected all performers and musical instruments as "actual size." There are times when I hear mega-buck systems with huge coffin-size loudspeakers and everything sounds bigger than life. Singers are eight feet tall. Pianos are fifteen feet wide. Drum kits expand infinitely toward the horizon. It's pseudo-impressive, but not realistic. Jeff's system accurately rendered the performances in the proper scale--just as if you were in the audience and the performers were on a stage. There was a stunning lack of artifice in the sound--on many recordings the sound was as lifelike as I've heard from a hi-fi. Second, the ability of this system to resolve inner detail and capture all of the music from the original performance was without equal. We listened to an LP of a choir backed by an orchestra, and I was able to focus on one particular singer and follow her voice through the entire track. I could then choose another singer and do it again. Take any aspect of a performance, the brush of a cymbal, the tapping of a foot, the movement of an invisible performer across the stage--it was all stunningly whole and tangible. The whole was equal to the sum of the parts. 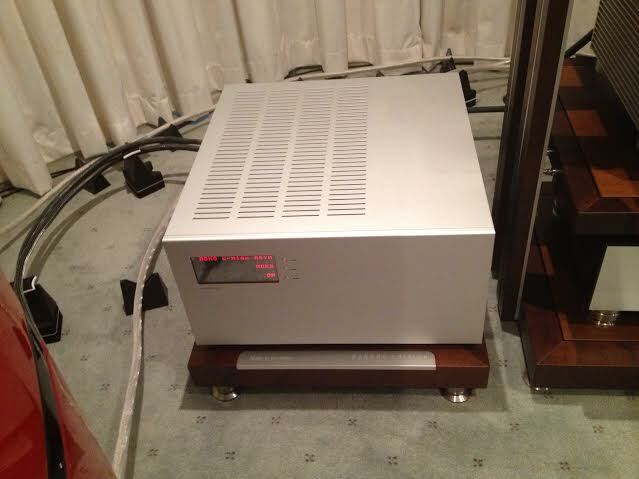 I've been auditioning hi-fi equipment for what, 35 years now, and I've experienced many amazing dealer demonstrations. None approached this one for sheer thrills. 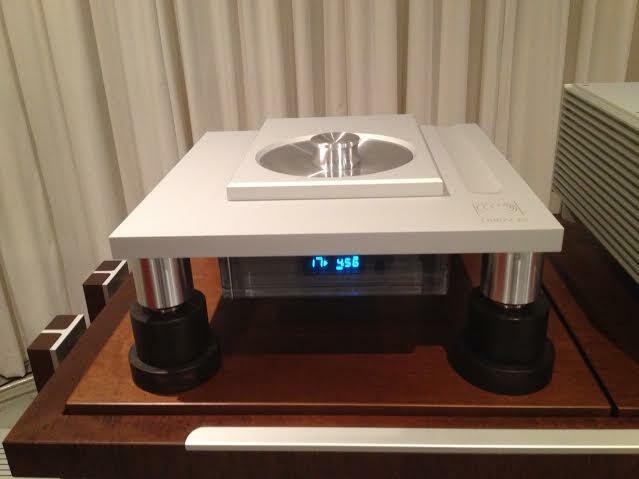 This incredible hi-fi system isn't the only thing that makes Knox Audio stand out from the crowd. Here you see a member of the elite Knox Audio Security Force. 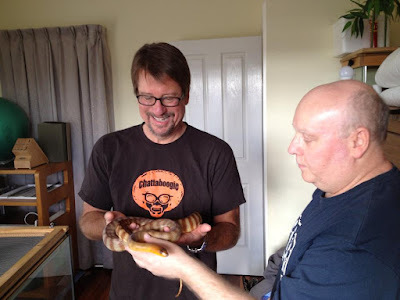 As Jeff explained, "The python species Marc is holding is a Woma python ‘Aspidites ramsayi‘ and is found in the Tanami desert in the Northern Territory of Australia. This one was bred in captivity, however they are considered endangered in the wild. This one is an adult male and is about 1.6m long." Jeff is a true reptile lover, and he has a few other snakes kept in terrariums around his house. 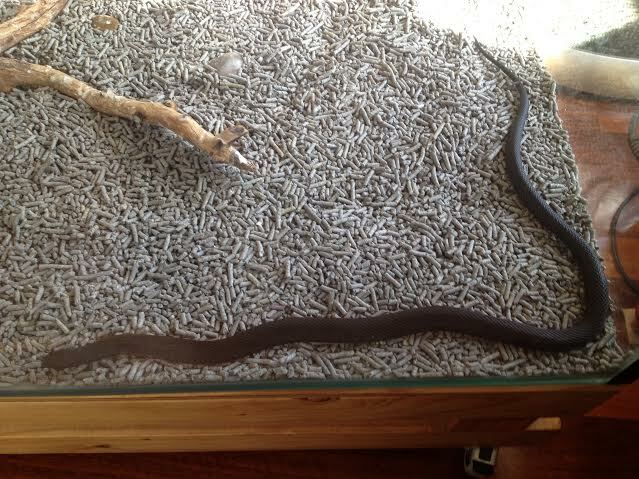 One, a red-bellied black snake, was venomous, and yeah, I petted it. Jeff just reached in and grabbed it and held it out for me to pet while warning the other two that it was indeed a wild animal and would attack if provoked. 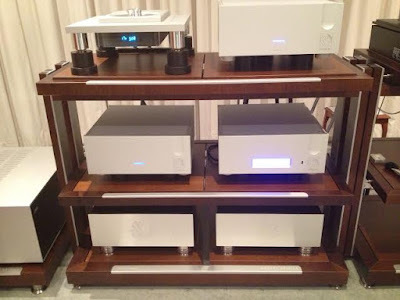 I can concur--while the digital playback source from Ypsilon was nothing short of sensational, I felt the whole system went up yet another notch once we switched to vinyl. The combination of the Viella table and arm with the MySonic cartridge was solidly focused and full of life. This final pic is a bit of a teaser--Jeff has listened to Brad and David's larger speaker for Brigadiers Audio in the context of this system. I won't tell you what he thinks...yet. Again, congratulations to Jeff on the finest dealer demo I have experienced. I wish I could just head over there with a few of my favorite LPs and spend another afternoon there, but it's 8,167 miles from where I'm sitting right now. 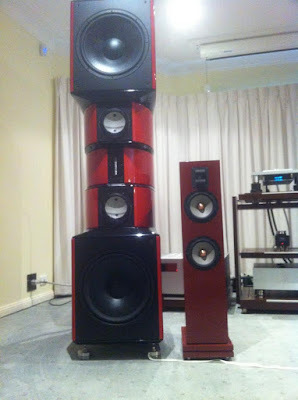 Suffice it to say that high-end audio is very alive and well in Australia, and Knox Audio is definitive proof of that. 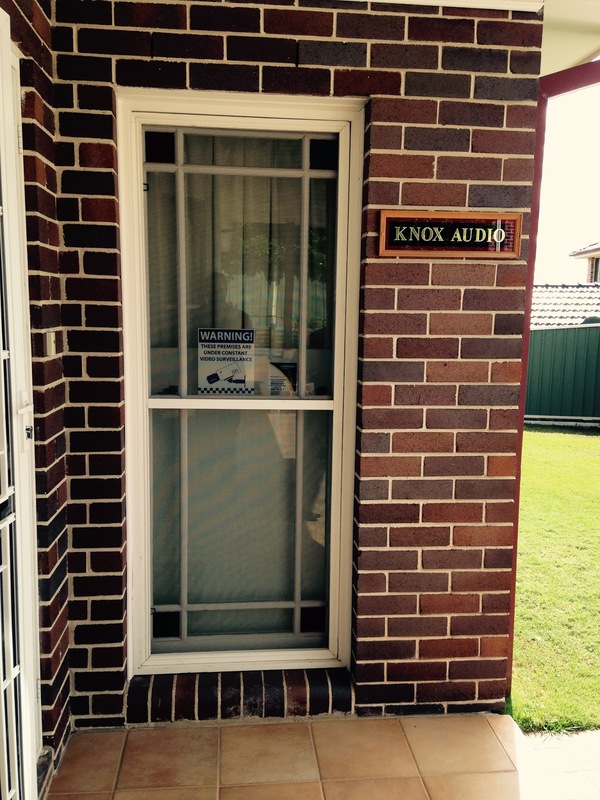 If you'd like to know more about Knox Audio, you can check out Jeff's website, call him at 02 9542 2998 or email him at jrknox357357@optusnet.com.au. 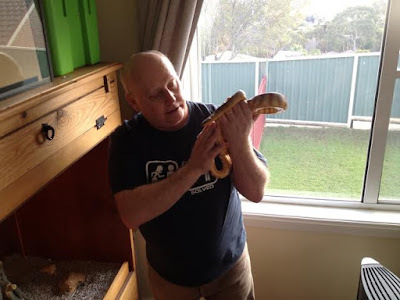 Don't be afraid of the snakes, or this completely gob-smacking hi-fi system. Just kick back and enjoy the ride. For years I've wanted a audiophile-quality album of movie soundtracks from the '30s and '40s. When I hear those smallish orchestras using drama and sheer romantic sweep to express big ideas, it transports me back to Old Hollywood, when classical composers such as Erick Korngold and Franz Waxman were brought in by the big studios to give some of their releases a more sophisticated pedigree. There's just something about the mood this music achieves with its sultry horns, cinematic crescendos and melodic themes that weave through your mind until they click. With a theme such as Astrognosia $ Aesop, that same motif my be diluted somewhat by ancient mythology, but imagine perhaps a big historical epic starring Claudette Colbert and some lunk who looks good in a toga and a tunic. This is the album I've been waiting for. 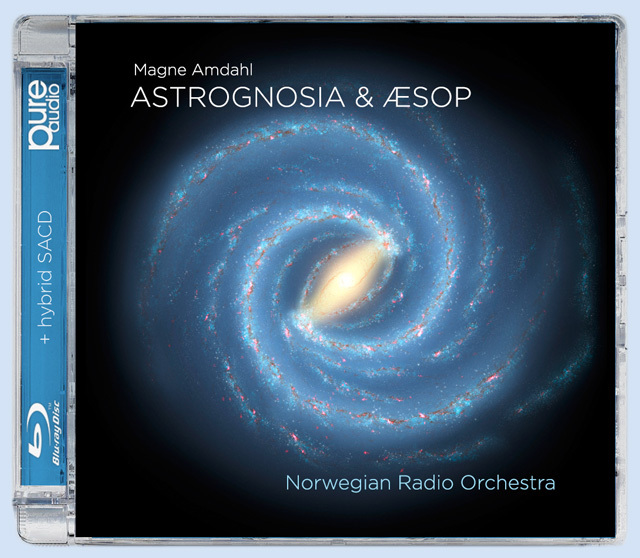 Norwegian composer Magne Amdahl doesn't quite come from that era--he was born in 1941 and wrote Astrognosia in 1991 and Aesop's Fables, in 2012--but he does have very strong ties to Norwegian theater and film, and even commercials. In this splendid recording of these two powerful, emotional and somewhat nostalgic orchestral pieces, performed by the Norwegian Radio Orchestra, Amdahl evokes these older cinematic glories through dynamic flourishes that pay homage to a time when the direct approach was best when engaging contemporary audiences. 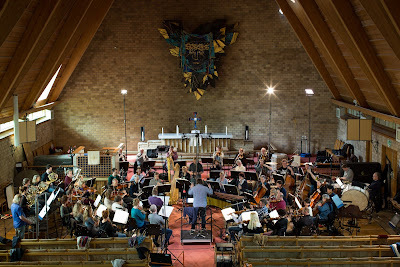 The first piece, Astrognosia, is sort of a Scandinavian variation on Gustav Holst's The Planets with the twelve signs of the Zodiac standing in for the solar system. Amdahl became quite fascinated by astrology over the years, explaining that "the composer in me began to think about what could be made of all this in musical terms." With that rationale, Taurus became "sturdy and loyal," Capricorn became "cautious and selfless," and so on. 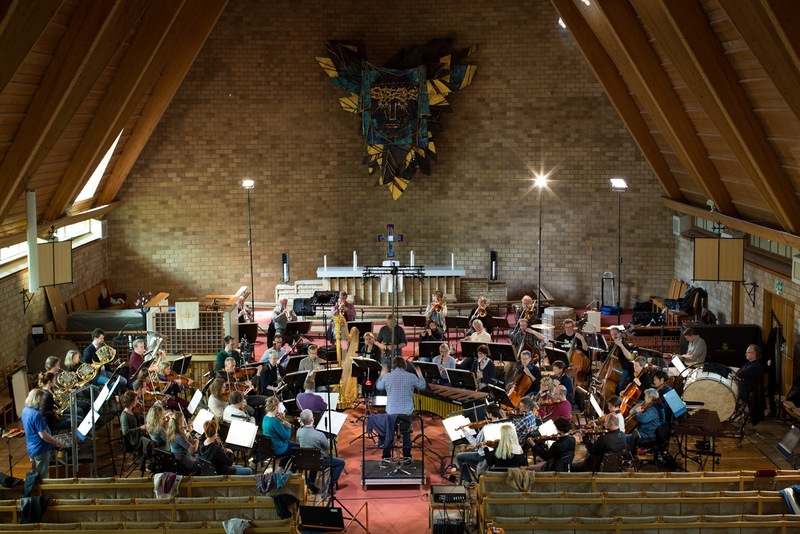 As Holst's planetary ambitions found their way into modern cinema, Astrognosia reaches for these same goals and achieves them--only time will tell if this exciting suite becomes a symphonic benchmark in the same way. Aesop's Fables, on the other hand, heads off in quite a different direction--while the same grand themes abound, narrator Dennis Sorhoi's voice is so impish and his vocal rhythms so hypnotic that the performance takes on almost phantasmagorical glow. Suddenly, we are in the realm of fictional worlds, suggested by those classic morals, and the result is playful and hallucinatory. Morten Lindberg of 2L recorded this goosebump-inducing performance in one of his favorite venues, the Jar Church in Norway, which always adds a rather warm, big sound to every recording whether it's a big orchestra or a solo musician. Here, the amazing acoustics reveal such natural timbres within the orchestra, conducted by Ingar Heini Bergby, and they intersect and dance in a truly generous way. Through his innovative approach to miking and staging within the church, part of a technology he calls Immersive Sound, Morten delivers a signature sound that embraces the listener from all sides as opposed from a fixed point on a stage some distance away. This is one reason why 2L Recordings sound more spacious, more natural and more engaging than most. Highly recommended. In the interest of disclosure, I must state my biases about Brigadier Audio up front, especially in the context of my recent visit to Australia. I've been consulting with Brad Serhan and David Allen on these two speaker models all year long. I'm not even going to try to say that I had something to do with the final design--Brad and Dave have been completely obsessed with these two speakers for more than a year and a half. My role is little more than an audiophile who came in, listened and offered feedback. Despite all that, the Brigadiers Audio BA1 and BA2 are sort of my babies, in a godchild sort of way, and my main objective in going to Australia was to sit down with Dave and Brad and listen and tweak until we were absolutely sure they were great enough to bring to the US market. So of course I'm going to tell you that I love these two speakers--but just not because I want to sell them to you. Let me illustrate. I love pizza, and the best pizza I've ever eaten was mine. Ask most of my family and close friends about their favorite pizza, and they'll probably tell you it was mine as well. While I was in college I worked at a local pizza parlor, then I managed it, then I started my own pizza parlor based on my own recipe, and then I sold it and partnered up on a second one. When I developed my own recipe, I basically started with solid recipes that I truly enjoyed, and then I tweaked it until it had evolved into the best tasting pizza I had tried up to that point. It wasn't culinary skill, and it wasn't luck. It was just about indulging my own preferences, and hoping that my tastes in pizza had a somewhat universal appeal. It was the same with these two speakers, especially the BA2 2-way monitor that I've been evaluating since last CES. I was going to listen, offer my opinions, and then step back and let Brad and David decide whether or not my recommendations were valid. When I told Brad that after listening to the BA2s my only reservations were the extreme bottom end and a reticent midrange, he nodded and agreed as if to say, "I thought so." It turns out that Brad was able to voice the speaker in one of two ways, and he basically flipped a coin to decide which setting he was going to use on my sample pair. After hearing my comments on the BA2's performance, he basically told himself, "Ah, the other setting." 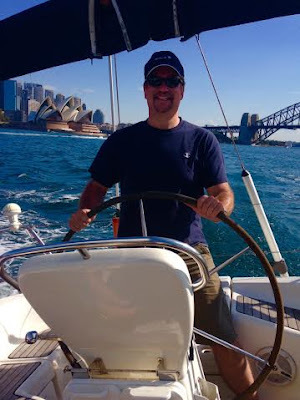 Once I arrived in Australia and my body clock adjusted somewhat, we dove into work. Brad's first recommendation was to experiment with a variety of resistor swaps that would set the impedance at different values between 4.5 and 5 Ohms. David, shown in the photo at left, suggested that we swap out the rear ports as well. In the workshop they had a variety of wooden O-rings of different shapes, as well as matching tubes of differing lengths. When I told Brad that I wanted deeper bass, he and David decided to try a longer port with a smaller diameter hole. Dave got to work on machining the O-ring so that I would fit perfectly into the rear of the BA2 cabinets. Sure enough, the change in the port dimensions produced a much deeper and much more satisfying bottom octave. I told Brad and David from the beginning that every smallish two-way monitor sold in the US had to have one salient feature in order to be successful--it had to sound "much bigger than it looked." After the port tweak, I no longer had reservations about the bottom end of this speaker. The deep bass was huge, deep, full, round and musically persuasive. The port fix also seemed to cure the laid-back midrange, the proverbial two birds with one stone. If these different ports had been available to me while I had the BA2s in the US, I wouldn't have needed to go to Australia at all. They would have been perfect, in my honest opinion. But I'm so glad I did get to go, so that point is sort of moot. By the way, we did all of our final testing of the two Brigadiers Audio speakers with this Einstein integrated amplifier with internal phono stage. We had quite a few amps on hand to test out the speakers, but we decided unanimously that this German-made Einstein did the best job of stepping aside and letting us hear what the speakers were really doing. We compared the Einstein to another very highly-regarded amplifier from a very highly-regarded European manufacturer--and we were all surprised when the Einstein came out head-and-shoulders above in terms of detail and focus and imaging. I found the sound room in the workshop to be a little on the live side. I could hear around the room acoustics to a certain extent, but I was concerned that some of the room reflections could mask minor problems with the sound. So we moved the BA2s and the Einstein to Dave's gorgeous condo right on Sydney Harbor. 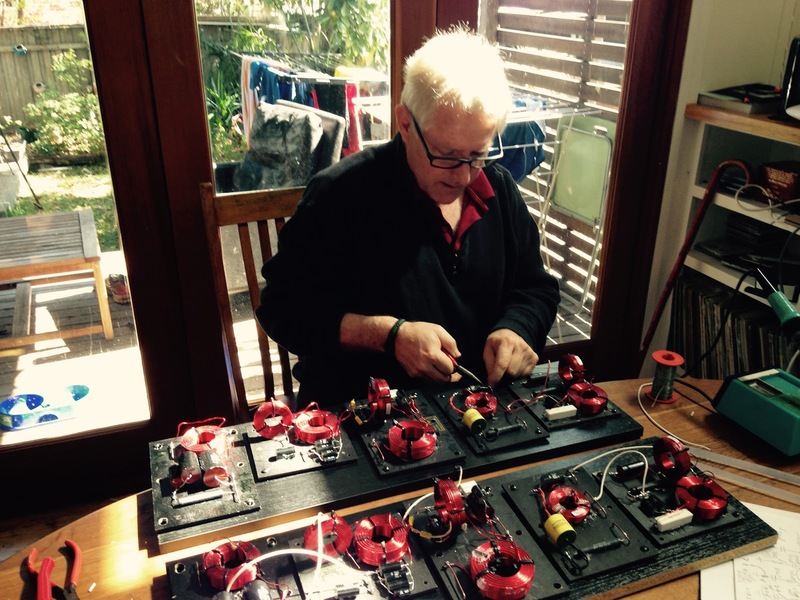 If you've seen the photographs of the Axis VoiceBox S on the Axis website, the ones with the Sydney Harbor Bridge in the background, well, then you've seen Dave's place. Despite lots of glass sliding doors and sleek, modern surfaces, Dave's living room actually turned out to be a great place to listen. Solid floors and soundproof rooms combined to make the BA2s sound focused, warm and full of inner detail. We did proceed with a few transistor swaps and finally came up with an impedance value that balanced the midrange perfectly against the frequency extremes for a totally coherent and balanced sound. We listened for hours, and at the end of a long night we all decided that the BA2 design was finished. So I've been talking about the search for a perfect two-way speaker in this blog, to which SpJ's Judy Spotheim-Koreneeff told me "No such thing, and no such creation." I know that in high-end audio, there is no perfect and there is no best. But I can say that the Brigadiers Audio BA2 is a lot like a slice of my pizza circa 1982--it's what I want in a two-way if given the choice. Because it's a two-way, it's small and easily managed when it comes to speaker placement. (Someone, I think it was Brad, mentioned that the strength of the two-way is that it's much easier to set up in a small room, and I believe we all agreed.) It images like crazy, with musicians and voices inhabiting very specific spaces between the speakers, their actual sizes perfectly reproduced in Dave's living room. But because of the complex, solid birch-ply construction, constrained layer damping and high quality drivers, I just got the impression that this was a basic two-way design taken to the nth degree. Now I know there are some pretty ambitious and expensive two way speakers out there from the likes of Magico and Raidho and others, tiny speakers that sound magnificent--and cost about the same as a new Honda Accord. The BA2s will cost a fraction of that, but they will still seem fairly pricey to the uninitiated. But this is simply a matter of looking a little deeper--seeing the love that Brad and David put into every pair, and then hearing the results. I'm very proud of how this speaker turned out, and I can't wait to share it here in the US. I'm jumping the gun a little--I'm saving the coverage of the cabinet-making aspect of Brigadiers Audio for later--but I did want to show you an unexpected development in the cabinet choices of these two speakers. 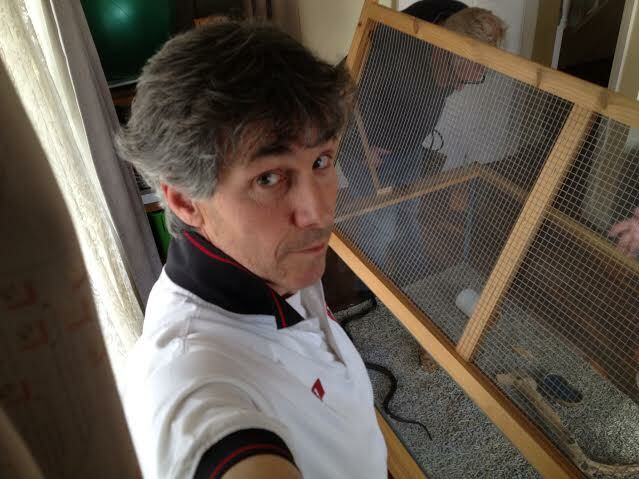 Brad and Dave and I went to visit Toby Hogpin, the master carpenter who will be building the exquisite cabinets for the BA1 and BA2. 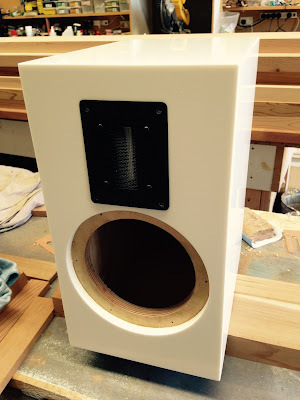 In addition to plenty of exotic Australian hardwood veneers, the cabinets of the Brigadiers Audio loudspeakers can also be made from Corian. You probably know Corian from its applications in kitchen counter tops. My personal pair of Trenner & Friedl ART loudspeakers have Corian on the front baffles, which is very polished and shiny and attractive. Well, Toby made a couple of BA2 enclosures using black and white Corian and they are simply beautiful. What's unusual about Corian is that it can be repaired and re-polished if there's an incident. So if you scratch the outside of these speakers, you can take them to anyone who is a certified Corian installer and have them re-polished and restored to their original pristine state. If a chunk gets knocked out of them--and I've seen this on many traditional wood veneer enclosures--you can get add a piece and re-contour the surface and get them almost back to perfect--supposedly you can see where the piece has been added if you look up close, but not from your listening position, where it counts. 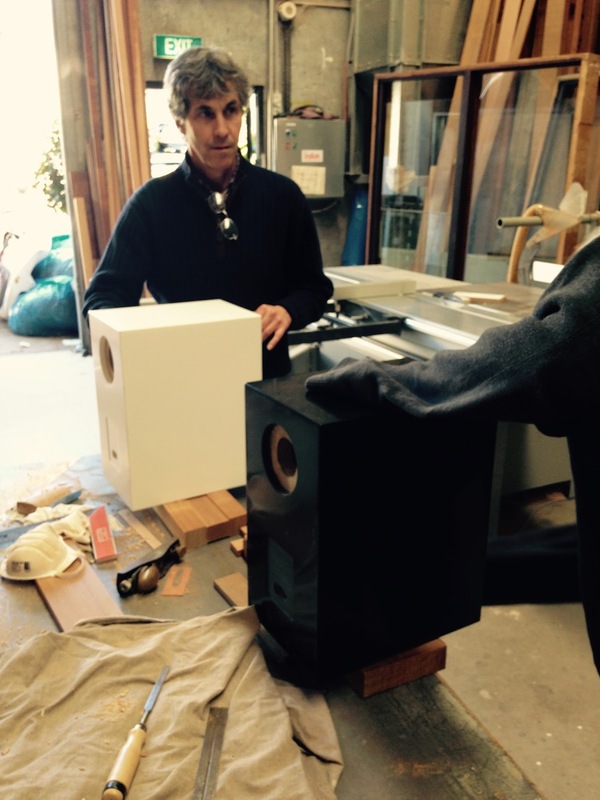 These speakers can be finished in 35 or 40 different Corian finishes. Many of these finishes will remind you granite counter tops, however, so sticking to the solid colors is probably wise. So for now the Brigadiers Audio BA2 2-way bookshelf monitor is finished. Brad and David are going to perform some measurements so we can get some specs on the Brigadiers Audio website. Then I'm getting another pair sent to me so I can show them to dealers, at trade shows, all the usual venues. I'm nervous and excited, as are Brad and David. But we're eager to see how audiophiles and music lovers respond to the BA2. I've been back from my Australian adventure for about a week now, and it's occurred to me that I'm one of those people who get to travel somewhere cool and far away just once in my life, and I'll spend the rest of my life talking about it. 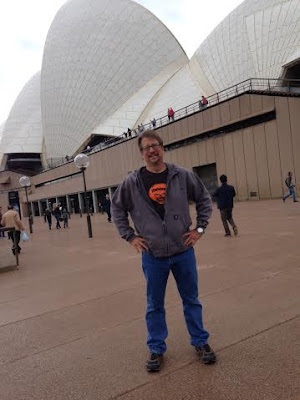 Even in Sydney I was joking that I'd go back to the US and officially become an expert on all things Australian. What can I say? It was an incredible trip, and I'm very lucky to have visited this wonderful country. I want to go back as soon as possible. Other than the whole driving-on-the-wrong-side-of-the-street issue, which of course is related to the why-did-they-put-your-steering-wheel-on-the-other-side-of-your-car issue, I was surprised that the greater Sydney area only felt sporadically exotic. Just throw in some half-dead banana trees and it'd look a lot like San Diego. Maybe it was all the palm trees and eucalyptus trees--something I grew up with in Orange County--but I never expected to feel so relaxed and comfortable in a country on the other side of the world. Plus, they spoke English. I understood every word, too--unlike when I travel to Chicago or Detroit. The only guy I had trouble understanding turned out to be British. The main reason for going to Australia, of course, was this bloke right here. His name is Brad Serhan. 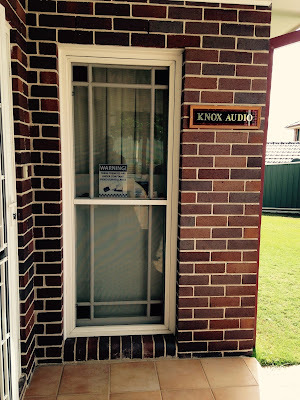 He's an Australian speaker designer. He's been my buddy for many years now. Colleen and I already import and distribute one of his designs, the Axis VoiceBox S, which he finalized with partner and Axis head honcho John Reilly. Brad and his partner David Allen are starting a new venture called Brigadiers Audio which will feature upscale, practically bespoke designs that feature high-quality drivers, birch-ply enclosures and constrained layer damping (which I'll go into further in a future blog entry). I've been listening to their 2-way monitor since January, as I've mentioned already, and I traveled to Australia to help the tweak the design a little, and to hear their bigger 2.5-way floorstanding speaker. I had very few reservations about the 2-way, and I approached my summary of its performance like a professional audio reviewer so that I could remain objective and make a sound business decision about carrying the line in the US. After my first listening session I proclaimed, "This is a speaker I could actually live with for the rest of my life." That was said with all honesty, and as little marketing hyperbole as possible, but I also knew that the Brigadiers designs were going to be expensive with their complicated birch-ply cabinetry and semi-exotic Australian hand-oiled veneers, and that a small expensive two-way monitor needs to do a couple of things in order to sell in the US--it needs to go low in the bass, at least relatively so, and it needs to sound like a big speaker. 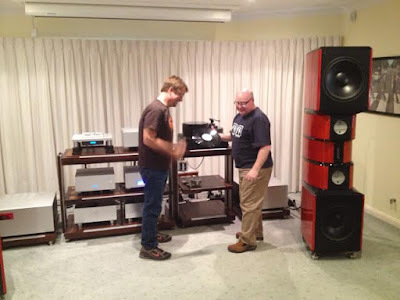 My only two pieces of feedback for Brad and David were to see if the speaker could dig a little deeper into its lowest frequencies, and that my personal preference was a midrange that was slightly more forward. Very, very minor nitpicks. Brad said "No worries"--he knew it was just a matter of changing the value of a resistor, and the midrange frequencies would come forward a bit. David also made a rear port out of slightly different dimensions--deeper and narrower, and that brought some truly deep bass into the sonic picture. I learned a lot about port design that day. 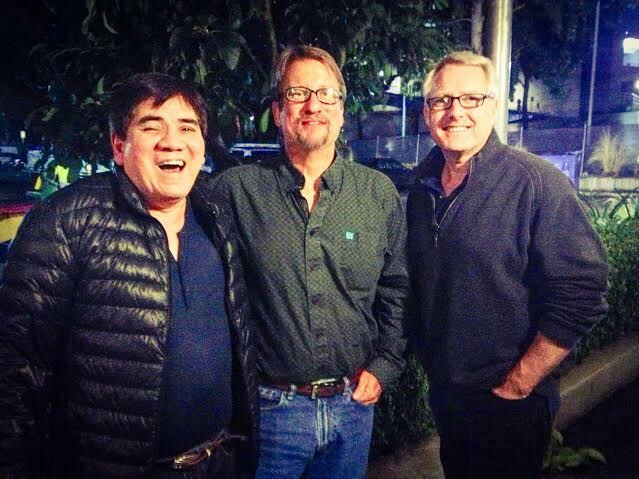 This is, of course, John Reilly and David Allen, with me in the middle. On this night, thanks to John, I discovered the joys of Malaysian food. While I was in Sydney, I enjoyed Thai food, Vietnamese food, Korean food, Japanese food, Chinese food and Malaysian food, and all of it was fantastic. Malaysian food, something we don't widely have in the US as far as I know, was the best--like Thai, but less sweet and not as spicy. Since I've been back people have been asking me about "Australian cuisine," and outside of the pasty and peas I had on the airplane on the way back home I really don't know. But the Asian food I ate while there was absolutely exquisite. This was the first time I've met John in person, and we hit it off right away. He's very interested in American politics, as are most Australians--every day I read the Sydney newspaper and at least a page was devoted to US politics. Well, not US politics as much as TRUMP. As in, "Trump's not really going to be the next POTUS, is he?" I was asked that question by almost every Aussie I met. Toward the beginning of my trip, my answer was "No way." Toward the end of the trip my answer was, "Um, er...I don't even know anymore." Anyway, back to John and Axis. John said one thing to me that I really respected--he wanted to turn the VoiceBox S into a "heritage" product--one that stays around for a long time and helps to define the marketplace for years, even decades. In Australia, China and the Far East, I think it already is a heritage product. (Remember, I'm biased, but I do feel lucky to be associated with such a product.) 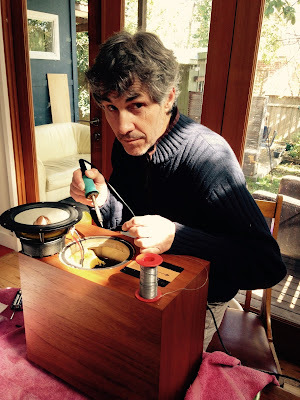 At this dinner, John made arrangements for me to meet with Ian Robinson, the designer/manufacturer of Redgum Audio. Redgum and Axis share a factory, and John vouched for the synergy between his product and Ian's amps. I've got one of their integrateds here in Colorado for evaluation--more about Redgum in a later blog. If I had a more general theme to my Australian trip, it would be something about high-end audio being alive and well Down Under. 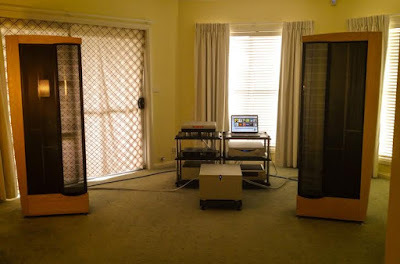 It seems like American audiophiles were all into Australian audio a couple of decades ago, not long after we were all infatuated with Australian film and The Thorn Birds and Paul Hogan. Recently it seems that some of that initial enthusiasm has waned--the affinity between the two cultures is still obviously intact, but we just don't crow about it as much as we used to. 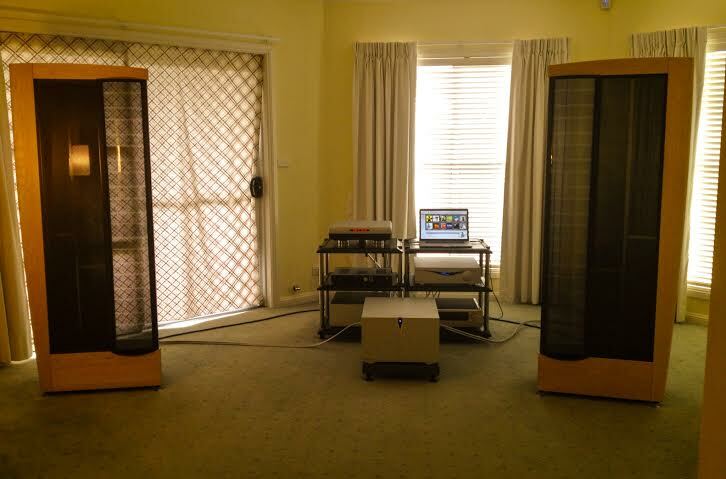 Mention Australian audio to US audiophiles and you may get a few comments about Duntech and Halcro. More often than not you'll also hear about Plinius and Perraux before you have to remind someone that New Zealand is Australia as much as Canada is the United States. It ain't. But here's proof of how serious high-end audio is in Australia--this is a million dollar system...well, a million Australian dollars, in the main sound room in Knox Audio just outside of Sydney. Owner Jeff Knox is completely dedicated to the state of the art in high-end audio and assembled this system (Evolution Acoustics speakers, Ypsilon and Soulution amplification, AMG turntable and much more) to show his clients what is truly possible in our hobby. I have to admit that this one one of the most impressive dealer demos I've experienced. Everything was just life-like and realistic and infinite in its capabilities. I'll talk more about Jeff Knox as well in the near future. 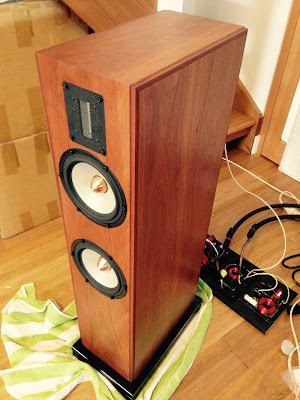 This is Brad and David's larger 2.5-way floorstanding speaker design. I came to Australia to listen to these. Unlike the two-way monitors, which were still in the prototype stage when I evaluated them, this larger speaker is a finished design and has already been auditioned by a handful of Australian hi-fi dealers as well as some professional reviewers. This pair, finished in Australian brushbox veneer (understated but unusually lovely close up), was actually the second pair made by Brigadiers. I watched Brad and David build these in an afternoon, and we were enjoying music by dinner time. While this speaker has a relatively small footprint and fairly modest dimensions, not to mention more of that signature Australian understatement, it's a very substantial and complex speaker. First, carrying just the empty cabinets is a two man job. Handcrafted by Toby Hogpin, one of the top carpenters in Sydney, this cabinet feature multiple layers of birch ply that are bonded together with a special adhesive that actually controls resonances in the cabinet. Constrained layer damping also contributes to a solid enclosure that allows the drivers (two SEAS magnesium woofers and a Raal ribbon tweeter) to really sing. It's no surprise that I loved these speakers. After spending the first day with them, I wanted to hug them and take them home. We worked hard in Australia. Long hours, lots of critical listening tests, and lots of meetings with important folks. But I did have time to play, but just a little. 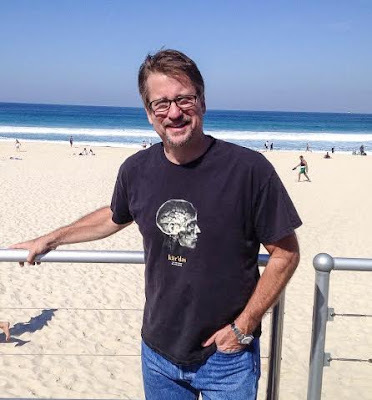 This is me at legendary Bondi Beach just a few hours after I landed in Sydney. I grew up in Southern California and spent my youth at Huntington Beach and Newport, but I have never seen waves as big and as beautiful as these ones. I estimated at least 8-10 foot waves, perfect shape, evenly spaced sets. I haven't been on a board for 35 years, but I wanted to get out there anyway. Further proof I was in Sydney. That's me and the Sydney Opera House. No photoshop. I promise. David Allen even took me out on his 42-foot sailboat. We sailed Sydney Harbor, under the famous bridge, next to the Opera House, all through the nooks and crannies of this iconic location. Then I was offered the wheel for a few photo opportunities. After the photos were snapped, however, I just kept on sailing this big boat through the heads and out into the Pacific for a few miles. I kept asking if someone wanted to take the wheel before I screwed up too badly, but the response was always a cheerful "You're doing fine, mate!" and "You've really got the hang of it!" and "Colleen will be so proud of you!" At the risk of being that guy, the one who's constantly talking about his big trip to Australia to anyone who will listen, I will share more of my trip in the coming days.